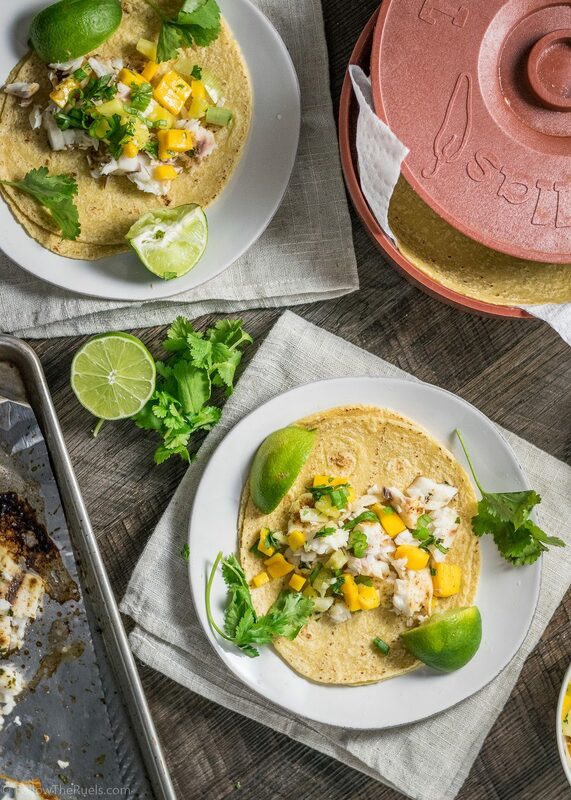 These tacos make such a nice fresh and healthy dinner that can be made in less than 30 minutes, easy! Tilapia is a nice mild fish with that really takes on the flavor of whatever you season it with. It is also very easy to cook and practically foolproof. Preheat oven to 400 degrees. Cover a baking sheet with tin foil or parchment. In a small bowl, mix together the spices. Pat the fish filets dry then sprinkle both sides generously with the spice mixture. Sprinkle the cilantro over top then squeeze the lime over all the filets. Place in the oven and bake for 10 to 15 minutes, until fish easily flakes apart with a fork. Let cool outside the oven for 5 minutes, then flake apart the rest of the fish with a fork. Serve on top of a tortilla and topped with salsa.